Looking forward to buying a new home? How exciting! Buying a home should be a fun adventure but it can be confusing at times when there are lots of options to choose from and decisions to be made. Denver, the “Gateway to the Rocky Mountains,” the capital of Colorado, the state’s centre of business and government and the largest city in the state has a rich and diverse atmosphere with a vibrant downtown. Furthermore, Denver is also near to some of the best school districts in the nation as well as some of the top university in the country. It a home for everybody from the city. It has a great combination of entertainment, education and great people. Denver has a semi-arid climate characterized by dry snowy winters, wet springs, low-humidity summers, and enjoyable falls. While it is located on the Great Plains, the weather is greatly influenced by the closeness of the Rocky Mountains to the west. Due to the city’s large geographical boundaries, Denver is divided into seventy-nine residential districts offering a variety of housing options with single family homes and condominiums. That’s why tourism is still one of the biggest components of Colorado’s economy, and Denver offers easy access to some of the premier snow and golf vacation resorts in the country. Diversifying the economy with technology caused a housing boom in the late 1990s. With the tech bust, housing has slowed, but it could well be taking a short breather. If you are looking for a home in Denver, the Buyer’s Resource Team is prepared to represent your Denver real estate interests whether you are looking for sale. • Types of Denver homes – There are many different types of homes: single family, condominium, townhouse, and duplex. Additionally, the type of Denver home you select may impact your buying power. • New or existing Denver home – Consider whether you want to move into a new Denver home or an existing home. In general, new Denver homes are more costly than existing homes. However, the condition of an existing Denver home can significantly increase your maintenance requirements. 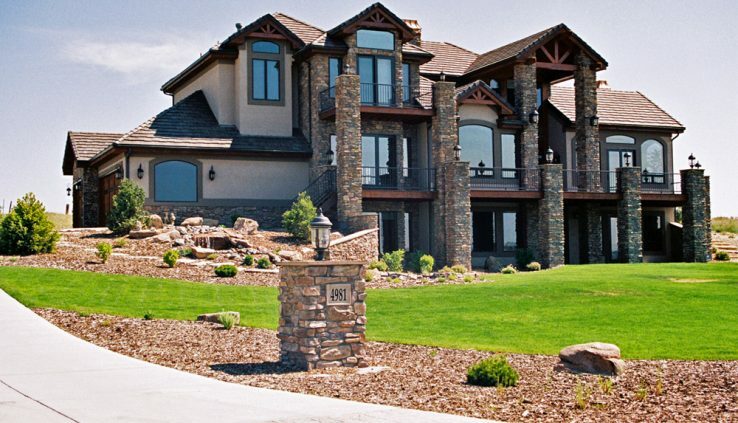 • Quality of Denver home – Examine the condition of the home. Carefully inspect the structure, interior and exterior of the house for defects. The additional renovation costs may add up over time and exceed your maintenance estimates. Will the house need a lot of repairs? How old are the appliances? The purchase of the Denver home is one step, but the renovations and repairs are added costs that need to be considered. Would you prefer to purchase a newer, costlier Denver home or would you prefer to invest additional time and money into renovations and repairs for an older, less expensive home. • Location – Would you rather live in the city, in country, or the suburbs? Do you want to be near parks or the library? What about a shopping mall? Is it important for you to be near major highways or public transportation? Get a feel for the surrounding area by exploring the Denver neighborhood and talking to residents. • Crime rate – Look into the safety of the Denver neighborhood, does the Denver neighborhood have a high crime rate? Has there been an increase in crimes committed in the area? If so, how will this influence the future Denver home value of your home? • School system – The quality of the school system in a particular area is not only important to families with children but can influence the Denver home value of your home. We should always keep in mind that quality education is a very essential. Giving our children the best schools they can belong can help them inspire to their studies. • Economic stability of area – The economic growth and stability of the area surrounding a Denver home can influence its future Denver home value. Homes with a pleasant view of the horizon often sell at a premium above similar homes without the view. However, if a view is important to you, buy it mostly for your own pleasure and not as an investment. Though you may place a considerable dollar value on the view, future buyers may not be so like-minded. It may take you longer to find a buyer when it comes to reselling the house. Or you may end up dropping your price to more nearly match other sales prices in the neighborhood.